Better shortcut menu with the lock screen, notifications, and more shortcuts. So move to the real topic and be ready for the real topic how to update LG G2 D802 on Android 6.0.1 Marshmallow. Here is a complete guide for installing this Marshmallow based ROM. This is a sensitive process only for advanced users, This updating guide is only for LG G2 D802. Do not try this on any other variant or Android device. Do all this at your own risk andAndroidfunz.com will not b held responsible for any kind of damage to your device. Install a Custom recovery CWM or TWRP on your LG G2 D802 before starting the process because without a custom recovery flashing a third party ROM is impossible. Backup all the important data of your device before starting the process because it is a data loss process. Install LG G2 USB drivers on your PC. Enable USB debugging mode of your LG G2. (Go to mobile Setting>>Developer option>>USB debugging and enable it. If there is no developer option then Go to mobile Setting>>About Phone>>tap build number seven time, this will show developer option, now enable USB debugging. Now connect your device to PC via USB data cable and move the downloaded files to the SD card of your LG G2. Do not extract these files. Now it’s time to boot into recovery mode. For this press and hold Volume down and Power buttons, release the buttons when LG Logo appears and press them again, then press the power button three times. In recovery menu, you can use volume buttons to navigate and power key to select. In recovery menu perform a Nandroid backup of your previous ROM because if new ROM does not properly work you can restore your previous ROM. For this select Backup and Restore, in the next screen select Backup again, after that go back to the main recovery menu for further process. Now perform Wipe Data/factory reset, for this select Wipe Data/Factory Reset, select YES, after that confirm this, wait some time for completion. Go back to the main recovery menu, now perform Wipe Cache Partition and after that perform Wipe Dalvik Cache. 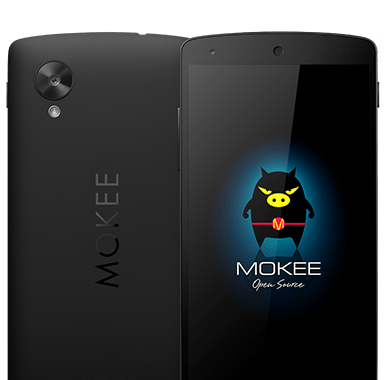 Now on recovery menu select Install Zip from SD card, then choose zip from SD card (or SD card 1), select the MoKee .zip which we have downloaded earlier in step 1. After selecting press power button to confirm the task by pressing Power button. Confirm YES to begin the flashing process. After flashing the zip file of ROM now again repeat the flashing process but in this time flash the GApps .zip the same way as in step 7. After completing the installation go back to the main page of CWM recovery menu and simply select Reboot option and restart your LG G2. This will take some time. After the successful Reboot, your device will appear with newest Android OS 6.0.1 Marshmallow. That’s it, friends. Now you can enjoy the latest version of Android Marshmallow. If you are not satisfied or have some issue then you can return to previous ROM, for going back to the previous version follow the instructions. Returning to the previous version is not very besiktastayim.net difficult. for this boot into recovery menu, select Backup and Restore, select your previous ROM and flash this. Reboot your device and this will resolve your issue.